Starry Night TARDIS, 2016, acrylic on canvas. 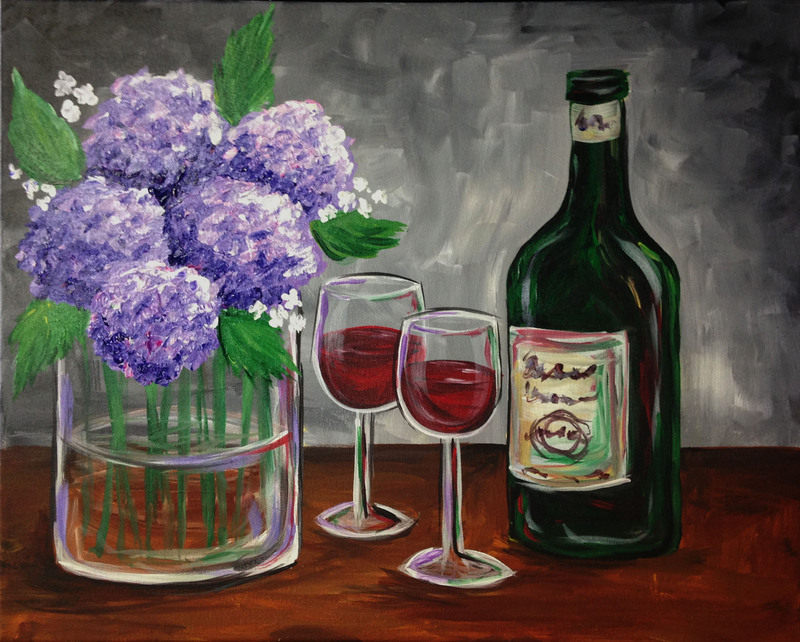 Date Night, 2016, acrylic on canvas. 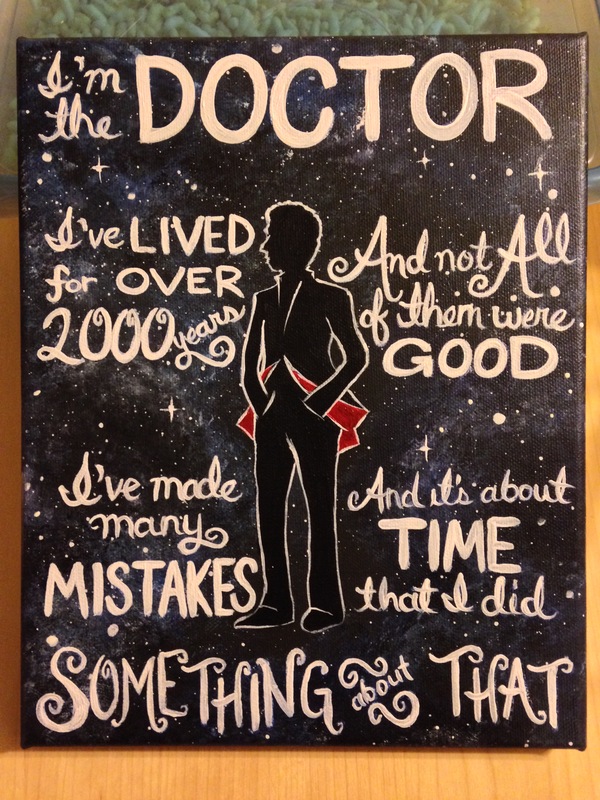 12th Doctor, 2016, acrylic on canvas. 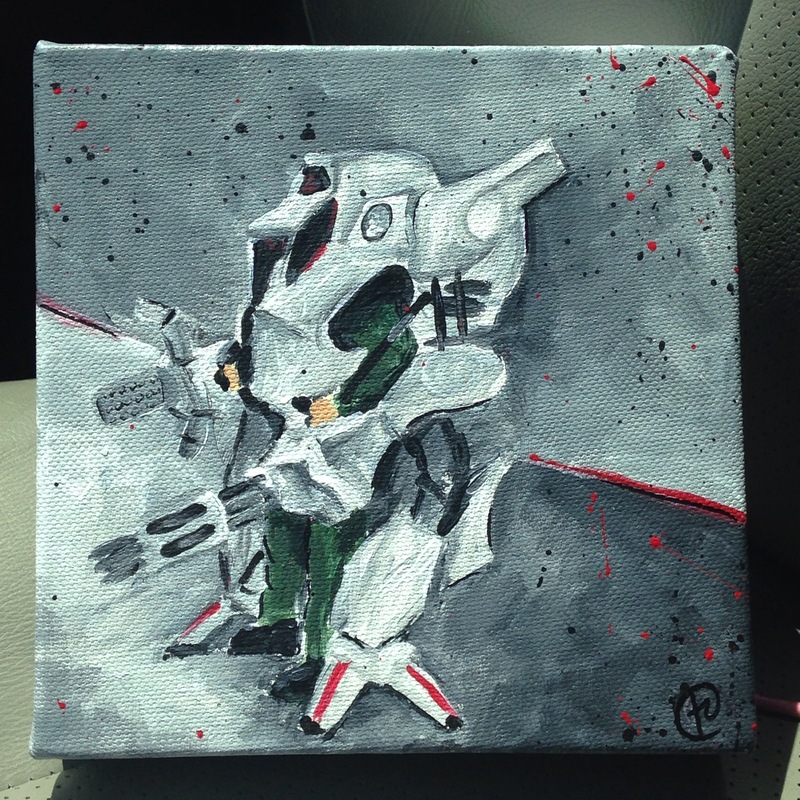 Mech (mini painting), 2016, acrylic on canvas. 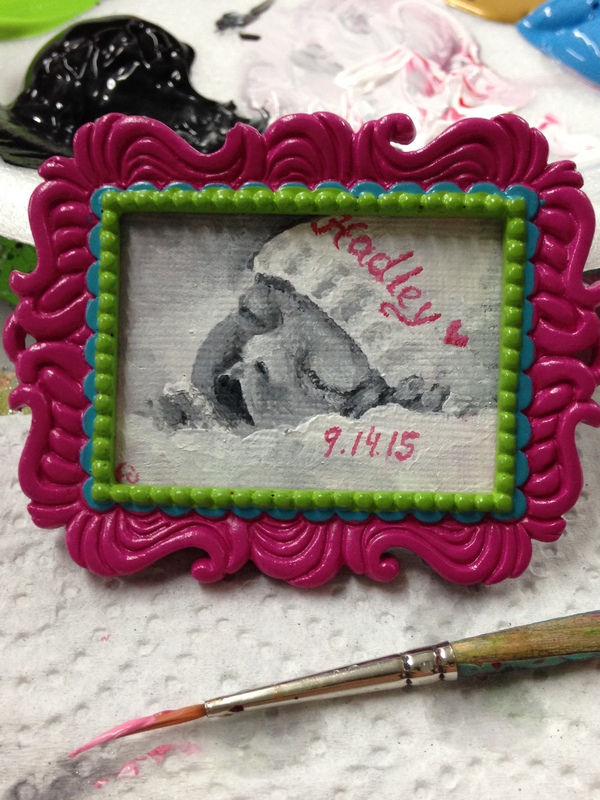 Hadley (Remembrance Portrait in ornament frame), 2015, acrylic on canvas. 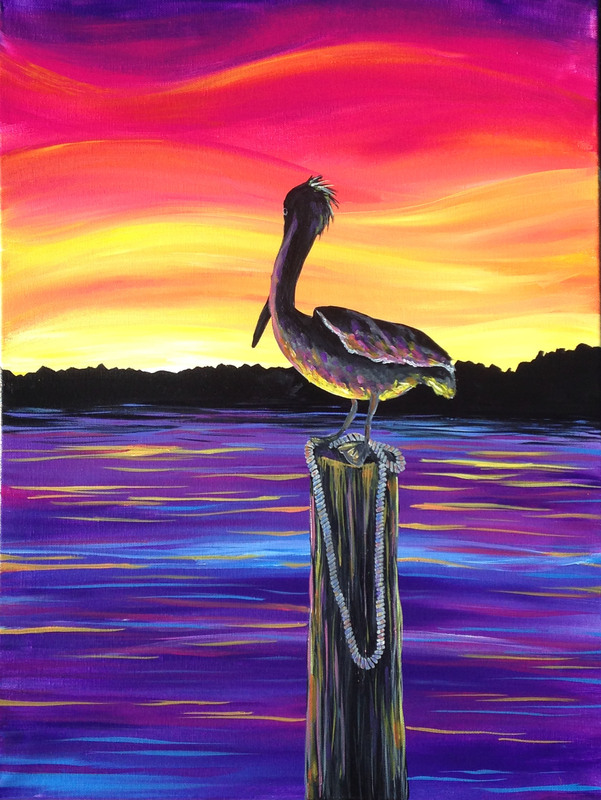 Pelican Sunrise, (Part of Daytona Beach collection) 2015, acrylic on canvas. 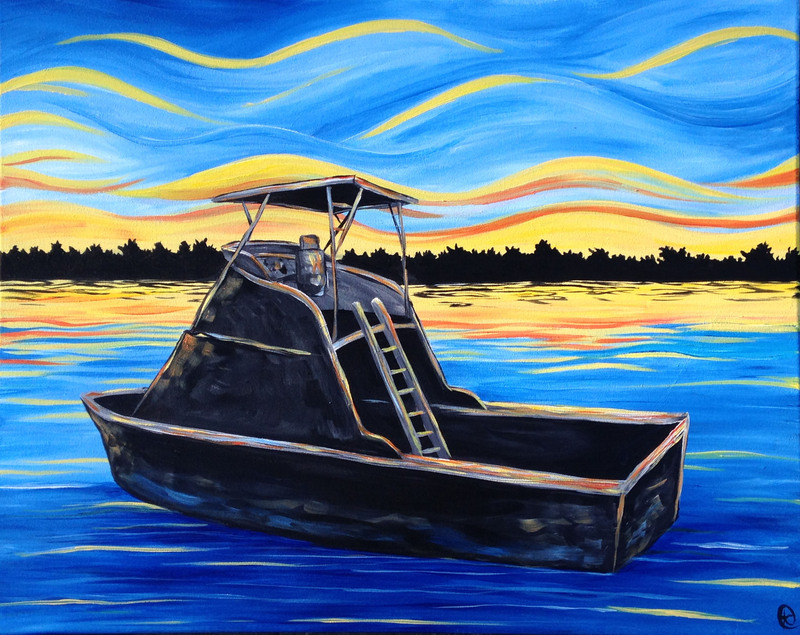 Waiting Boat, (Part of Daytona Beach collection) 2015, acrylic on canvas. 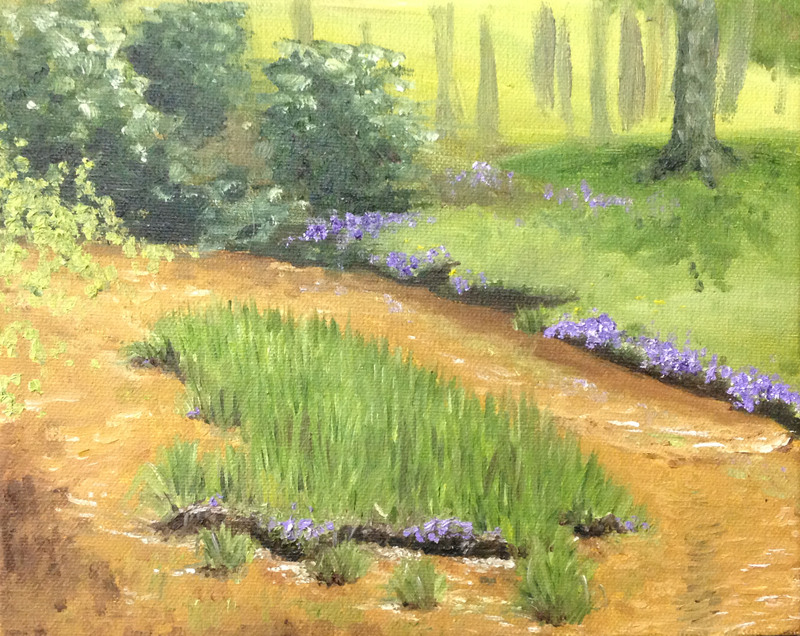 Daytona Palms (Part of Daytona Beach collection) 2015, acrylic on canvas. 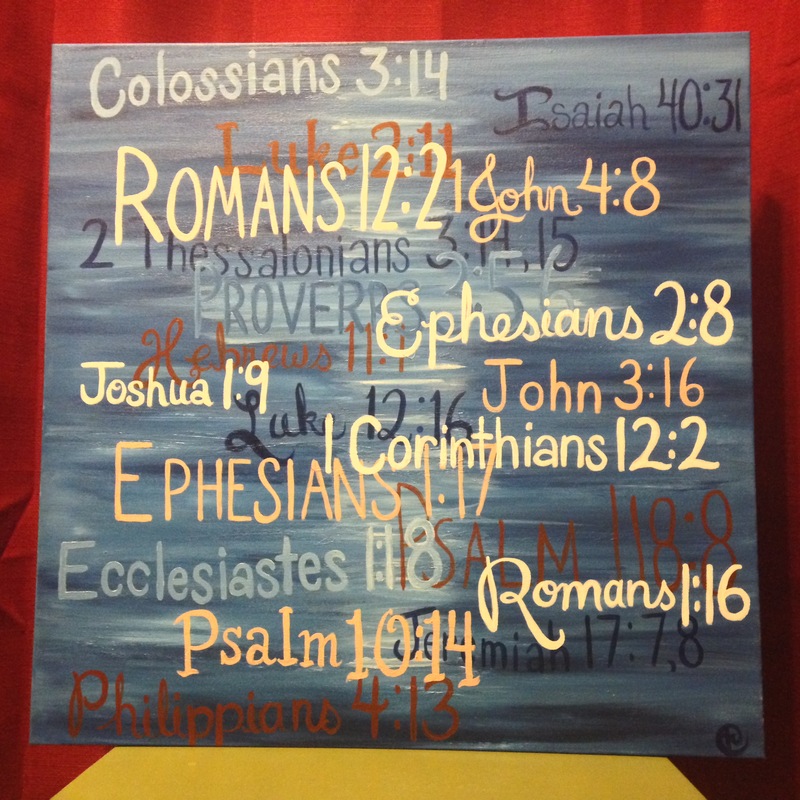 Verse Abstract, 2014, acrylic on canvas. 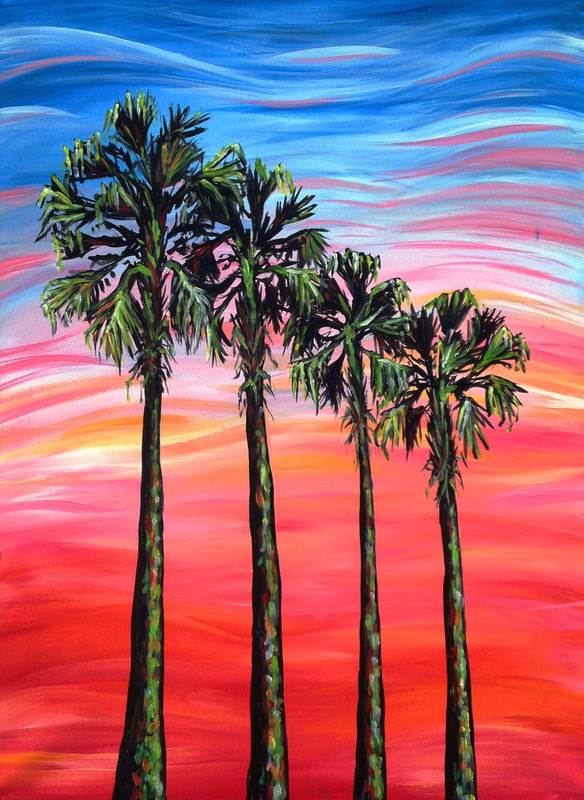 Daytona Beach Pier (triptych), 2014, acrylic on canvas. Starry Night Over Gotham, 2014, acrylic on canvas. 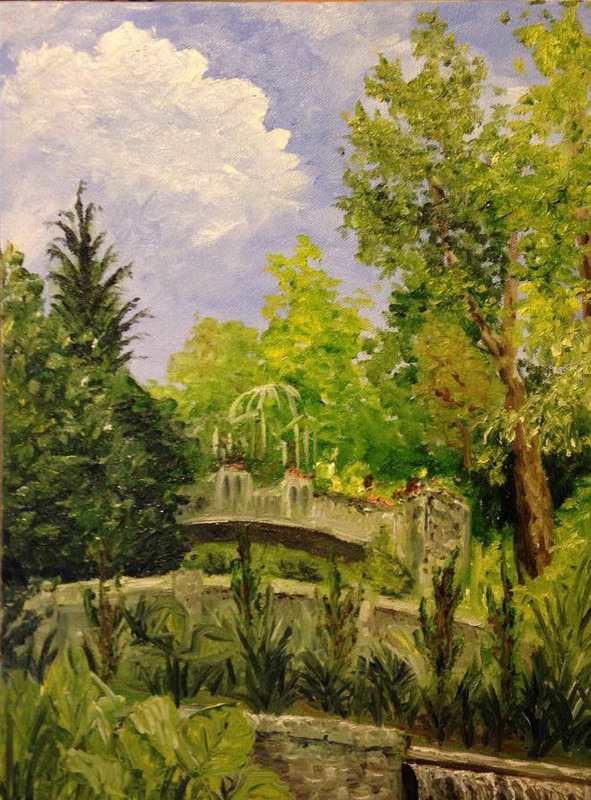 Cascades Garden, Atlanta Botanical Gardens, 2014, oil on canvas. 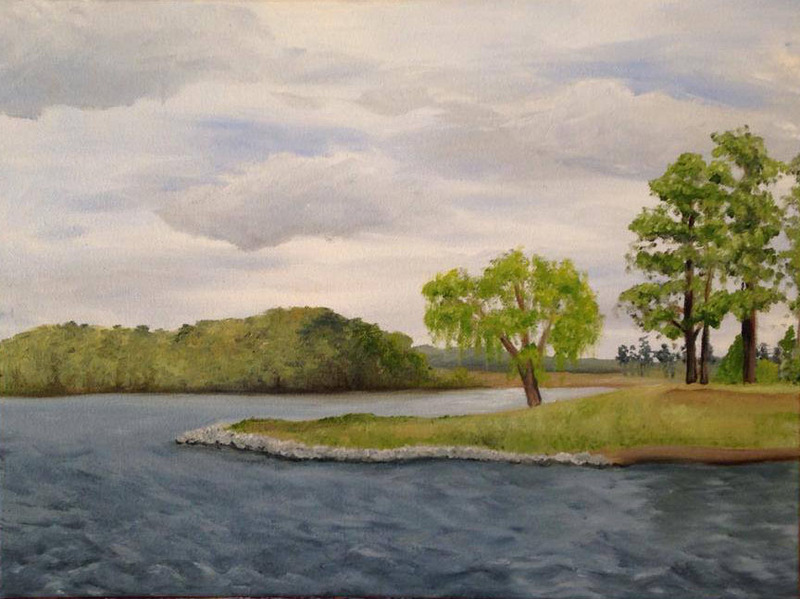 Pine Isle Pointe, 2014, oil on canvas. 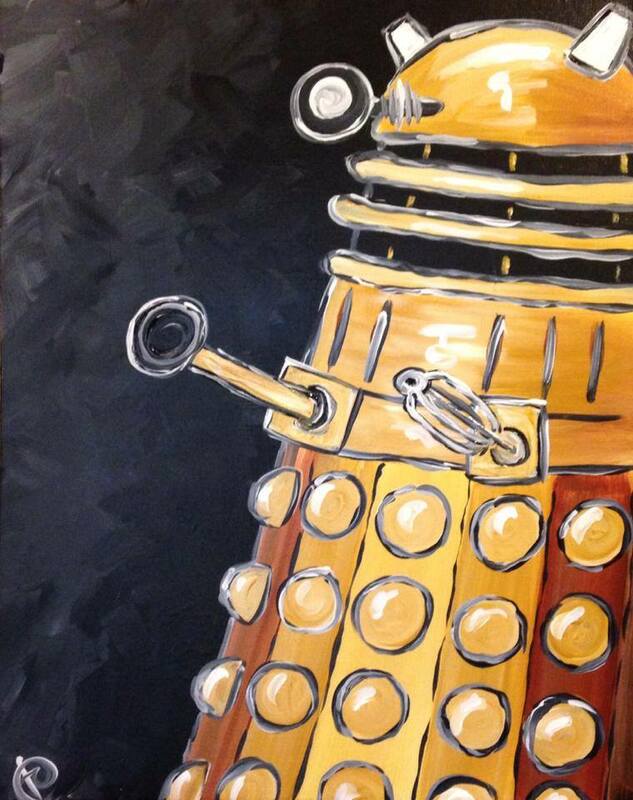 Dalek, 2015, acrylic on canvas. 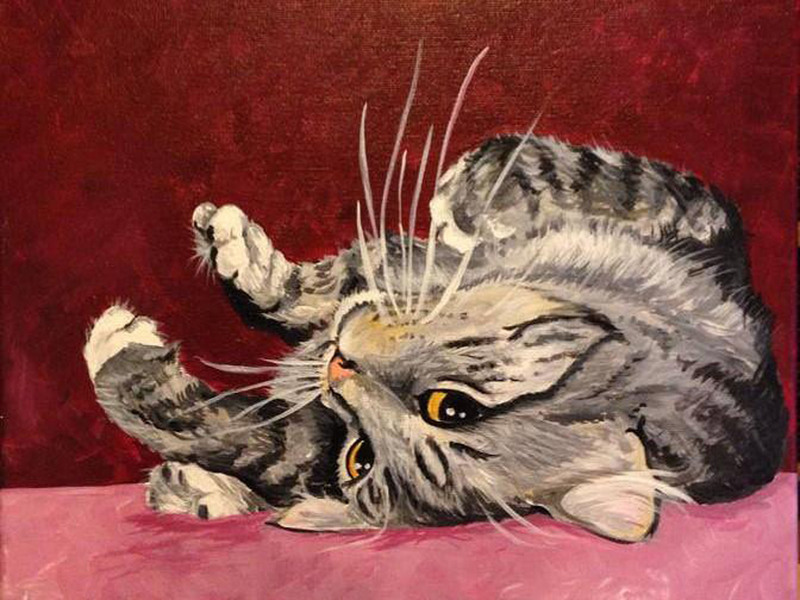 Emily, 2014, acrylic on canvas. 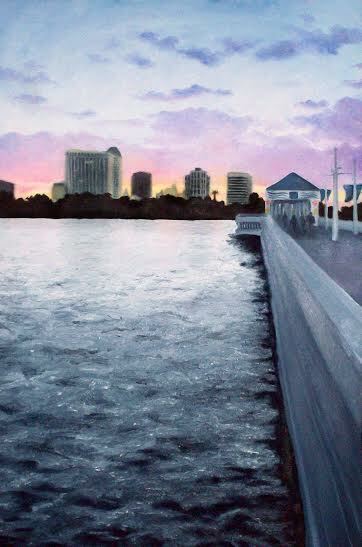 St. Petersburg Pier, 2006, oil on canvas. 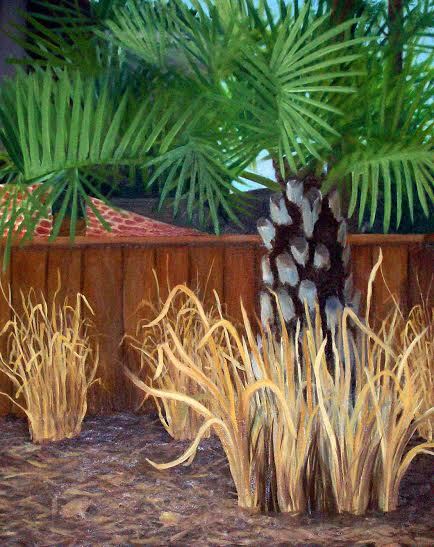 Garden Palm, 2006, oil on canvas.